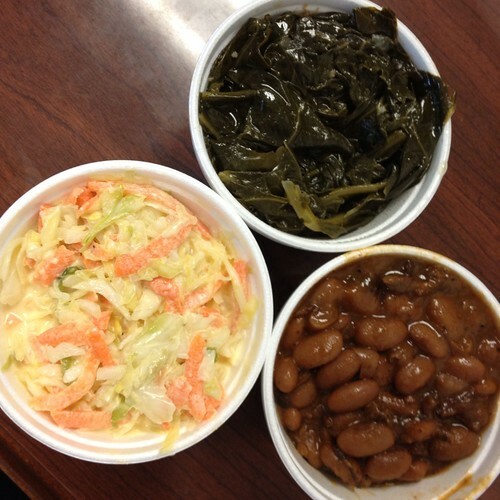 Collard Greens, Pinto Beans and Cole Slaw. Perfect lunch, especially because I finished it off with nut brittle from Dr. Lindsay’s fabulous momma Mary. Mary, that brittle is AWESOME. Recipe please? 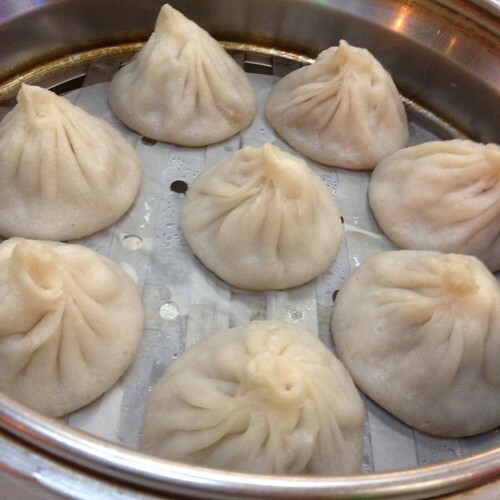 Last night ended with an unplanned return trip to Dim Sum Garden with Linda. 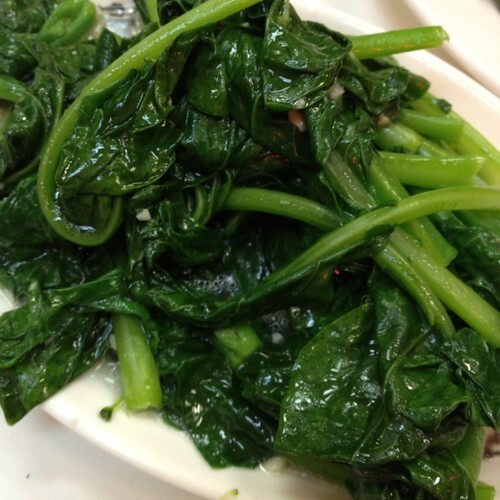 Chinese Broccoli with LOTS of garlic. 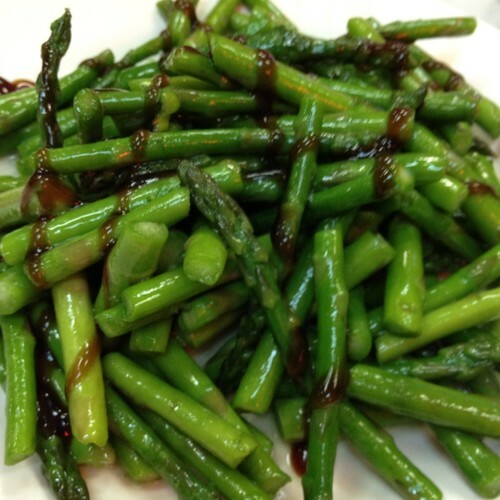 “Seasonal Vegetable” – UNBELIEVABLY delicious asparagus. Perfection. 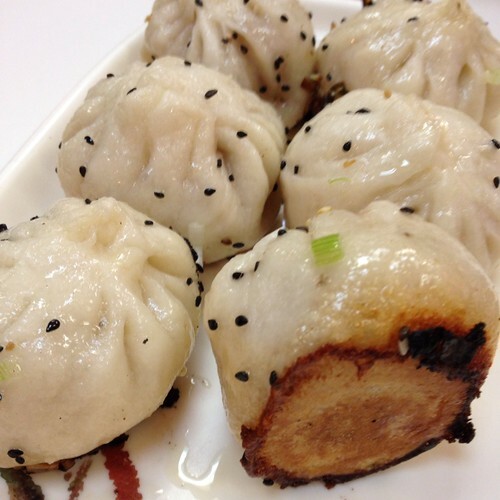 Pan Fried Steamed Soup Dumplings. So. Good. 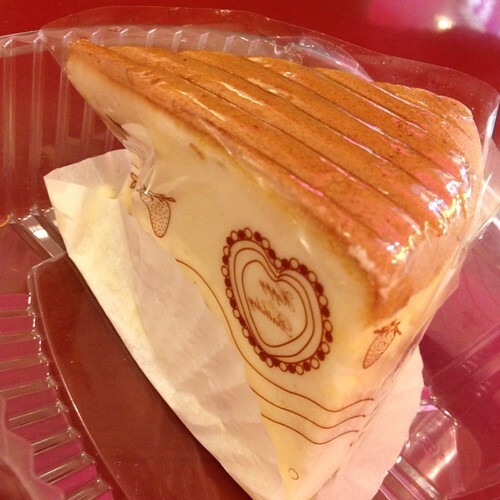 We finished the night with a taro bun and “American cheesecake” at Mong Kok Bakery. 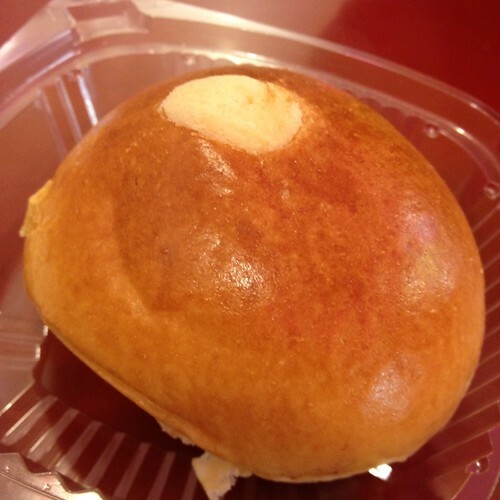 Mmmm… I think you’re going to definitely know the answer to Thursday’s post..
December 6, 2011 at 1:17 pm. Permalink. Wow, everything looks so yummy! Great pictures. Next time you go to Percy Street, try the Hillbilly Gatorade. It’s a Miller High Life, barbecue sauce and pickle juice. Sounds gross, tastes AWESOME! December 30, 2011 at 7:39 pm. Permalink.